Hello from Pittsburgh! I’m here to attend Bill and Hayley’s wedding (a.k.a. the #paleoroyalwedding) this weekend, but before the festivities begin, I have some serious link love to spread. Ready for this week’s Forky Friday? I love when Michael Ruhlman rants on his blog. His latest screed, Bacteria! RUN AWAY! RUN AWAY!, is a great (albeit NSFW) post about how we need to calm the *bleep* down about sterilizing our kitchen environments. Of course, as home cooks, we certainly need to engage our brains and be sensible about food safety—but freaking out over rinsing a chicken in your sink? Please. As Ruhlman put it: “Please, buy good food, cook it yourself, use whatever intelligence happens to be available in that tiny head of yours. Then open a bottle of wine and eat dinner with your friends and family.” Hear, hear. If you’re like me, buying seafood can be a bewildering experience. Thankfully, there’s the Monterey Bay Aquarium Seafood Watch and the National Geographic Seafood Decision Guide—and recently, my pal Diana Rodgers published a great article entitled The Complex Choices in Sustainable Seafood. 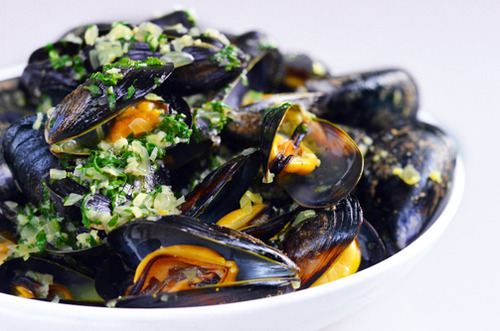 Hopefully, they’ll whet your appetite to make a pot of Thai Steamed Mussels! Marinating Before Grilling? Don’t Bother. For the better part of a year, I’ve been grilling meats without marinating ‘em beforehand. 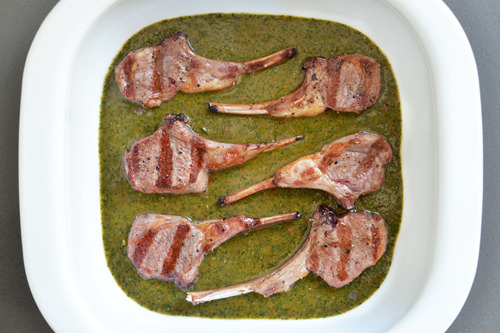 I think it started when I first made Grilled Lamb Chops with Mint Chimichurri (the recipe’s in my forthcoming cookbook); with some experimentation, I realized that I could just rest my cooked meats in a marinade after the grilling was done, and it would soak up all the flavors just fine. 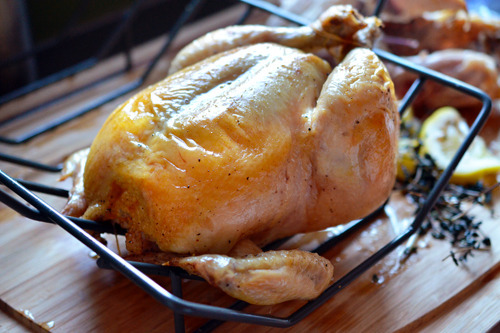 Just this week, my approach was validated: the New York Times posted an article entitled Welcome to the Post Marinade Era of Grilling, which points out that there’s no reason to marinate meats before grilling. A solid win for proscrastinators like me! At the very start of my Paleo journey, I limited my carb and starch intake quite substantially. I knew that Paleo wasn’t low-carb per se, but that it was just lower-carb relative to the grain-heavy Standard American Diet. Still, I did my best to stick close to the absolutely-no-white-starches guidelines. 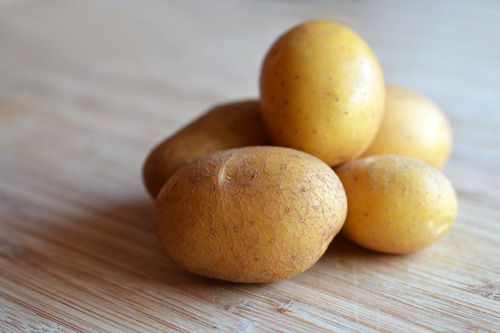 But as time went on, I learned more about how—for active folks who aren’t looking to shed body fat—"safe starches" like tubers and white rice can be a welcome addition. These days, as regular readers know, I eat “safe starches” on a semi-regular basis because…well, I just feel better. I don’t worry about restricting my starch intake to certain times of day (e.g. post workout, carb backloading, etc. ); instead, I just eat a small amount as part of my meals when I feel like it. And while I do think there’s a time and place for treats, my personal preference is to tuck into a plate of steak, broccolini, and crispy potatoes or baked fries instead of a “Paleo” brownie loaded with honey and almond flour. 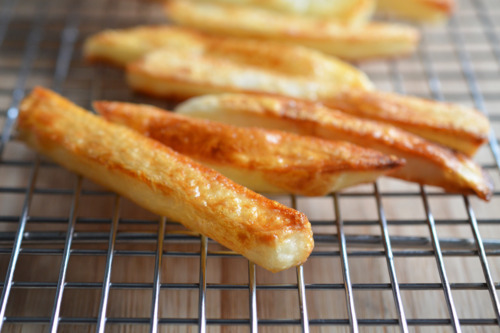 No, I don’t eat baskets of fries on a regular basis—or tapioca pudding or rice noodles or baked potatoes, either. But some safe starches on occasion are perfectly peachy in my book—just as an occasional grain-free dessert can put a smile on my face. …[A]ctive folks will likely do well with some starch with amounts depending again on size/activity level/goals/gender. And honestly I’d be pretty surprised if anyone reading this wasn’t incorporating much good activity into their day-to-day since Paleo as a lifestyle is about more than just what we eat. It’s about using our bodies to stay capable. 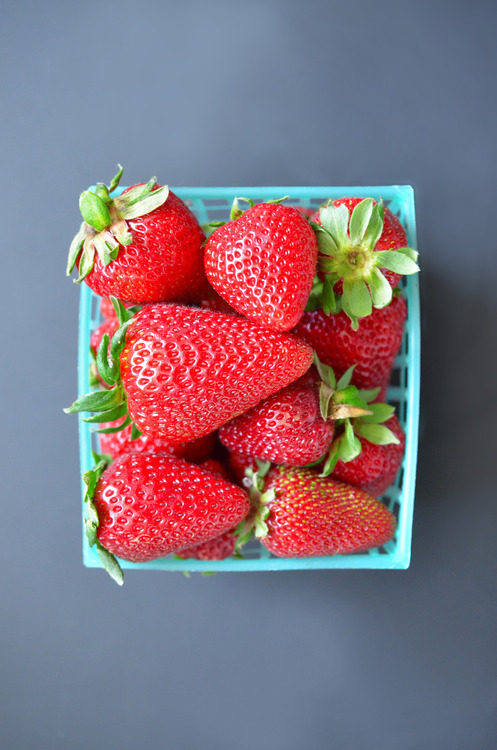 Fruitarians Of The World, Unite! For some reason, fruitarians are endlessly fascinating to me. I think my interest was sparked by this fellow a couple of years ago, and again when I learned that Steve Jobs’ fruitarian diet may have accounted for the name of his company. And now, New York Magazine is offering a peek inside the The 2013 Woodstock Fruit Festival, where fruitarians unite for a week of fruity debauchery. Me? I think I’ll stick with what I’m doing. 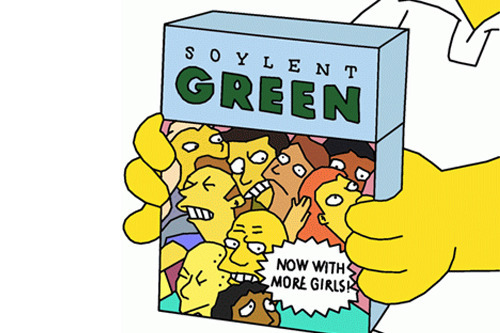 I was aghast upon reading about how this guy ditched food in favor of drinking Soylent for two weeks. Me? No thanks. Ever. I still can’t figure out why someone would name their food product after something that evokes a green wafer made from human corpses. How ‘Bout Some Real Food? 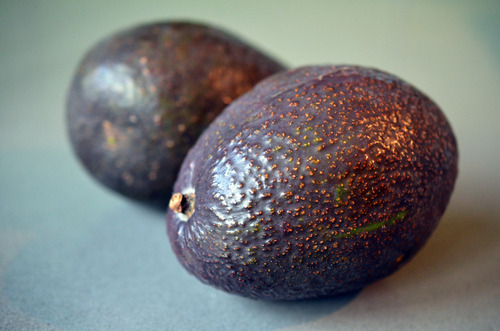 Did you notice that your Hass avocados are shrinking? You’re not going crazy. I’m loving this recipe for roasted cauliflower from the always-amazing Clotilde Dusoulier of Chocolate & Zucchini. Orange juice, toasted hazelnuts, sesame oil, and fish sauce? Yum! David Lebovitz, who (like Clotilde) resides in Paris, has a great recipe for Grilled Vegetables with Za-atar Vinaigrette. This weekend may be one of your last opportunities to pull out the grill this summer, so don’t squander the chance to make this. Why not pair your Za-atar-kissed vegetables with Hank Shaw’s Grilled Fish on the Half Shell? Hey, look! The Kitchn has instructions for how to make pressure cooker chicken stock. While you’re at it, make some of my Pressure Cooker Bone Broth, too! 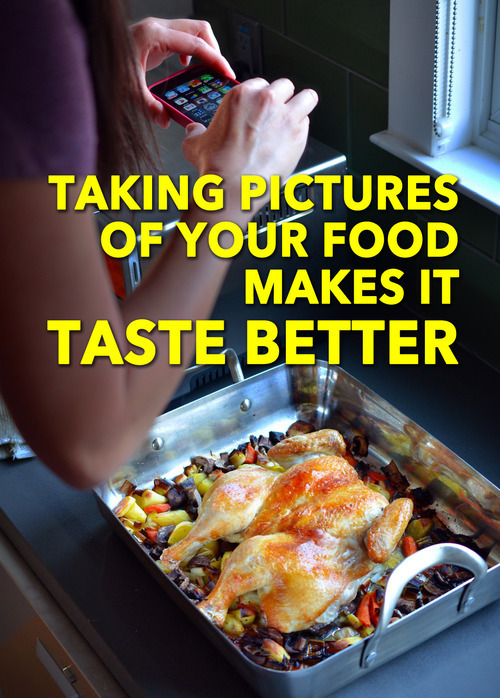 According to a new study from the University of Minnesota, performing a “ritual” like taking photos of your food may actually make the meal taste better. So the next time your dining companions complain about you snapping away, tell ’em you’re actually flavoring the food. That’s all, folks. I’m off to explore Pittsburgh.